In the second T20 match against Sri Lanka, Mahendra Singh Dhoni has done a fantastic job behind the wickets. He made two such incredible stump during the match, which caused the team to firmly dominate the opposition team. Dhoni's lightining speed stumping video has been shared by the BCCI on its website. In the first part of the video, spinner Kuldeep Yadav is bowling to Sri Lankan batsman Asela Gunaratne. During this time he came out of the crease in an attempt to hit the shot but became a victim of Dhoni's stumping. 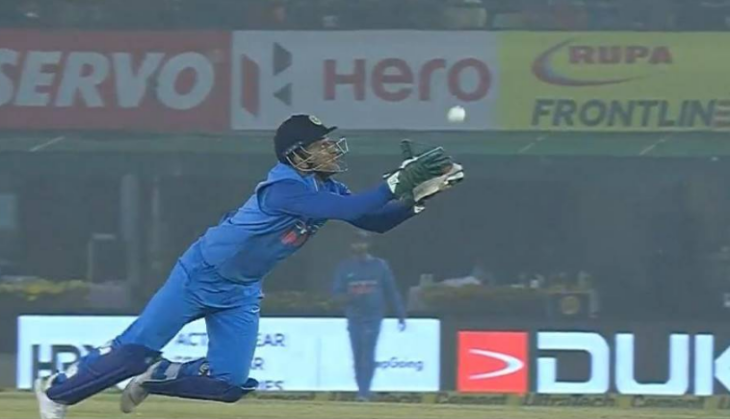 While on the other side of the video, Dhoni stumped Sadeera Samarawickrama on the wide ball. In the meantime, Yuzvendra Chahal was bowling in that over. The second Twenty20 played at Holkar Stadium in Indore on Friday (December 23) and lost the match by 88 runs after the initial confrontation. With this, India has taken an unbeatable 2-0 lead in the three T-20 series. India's 'Man of the Match' Rohit Sharma's 43 balls with the help of 12 fours and 10 sixes, and 118 runs with his opening partner Lokesh Rahul's 49 balls with the help of five fours and eight sixes played an innings of 89 runs. In the 20 overs, 260 runs were scored on five wickets. The Sri Lankan team could not even achieve this target after struggling and could only score 172 runs in 17.2 overs losing nine wickets. Angelo Mathews could not afford to bat due to his injury and the Sri Lankan innings ended with the ninth wicket fall. Niroshan Dickwella was dismissed by Jaydev Unadkat on total score of 39. But the duo of Upul Tharanga (47) and Kusal Perera (77) continued their dominance and kept the hope of Sri Lankan fans alive but all efforts went in vain.